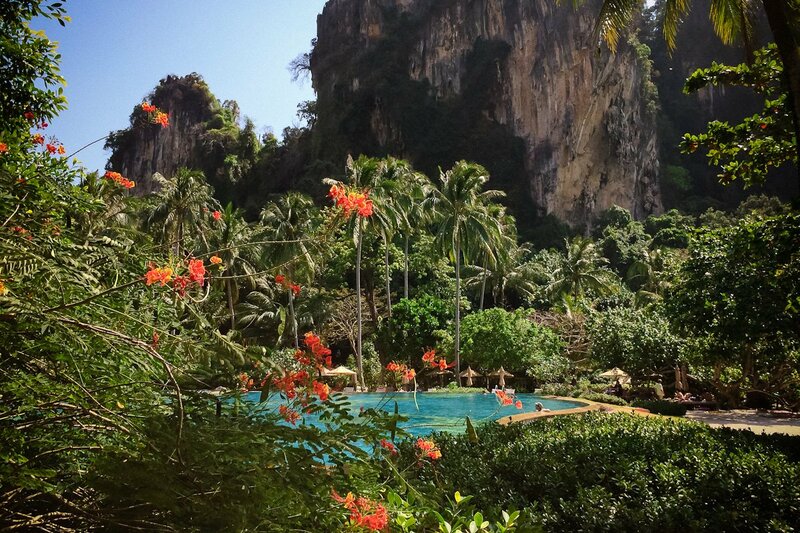 The Rayavadee on the Railey peninsula in the Krabi province, Thailand, has been on our wish list for a long time. The pictures on the website are absolutely stunning. 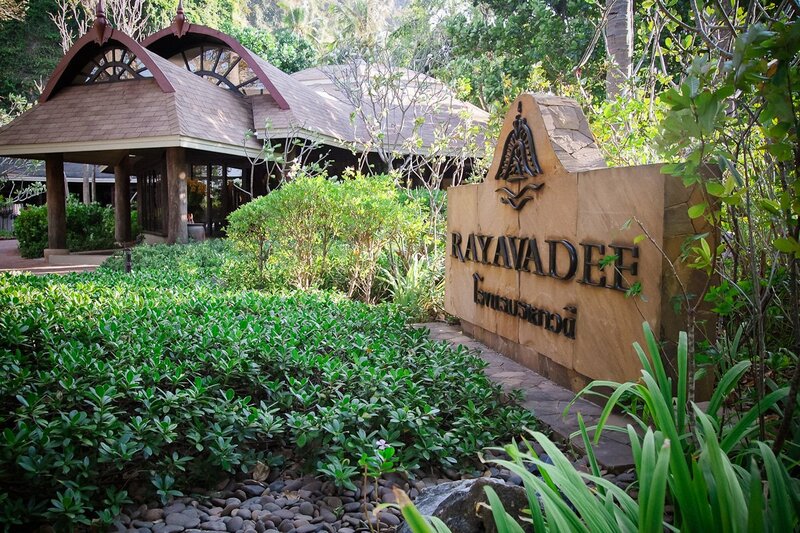 We always wanted to stay at the Rayavadee and this year, it finally was time. It was fantastic. 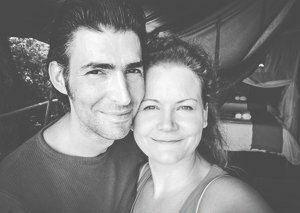 We still longingly think back to the wonderful time we had. We will cherish this hotel forever. 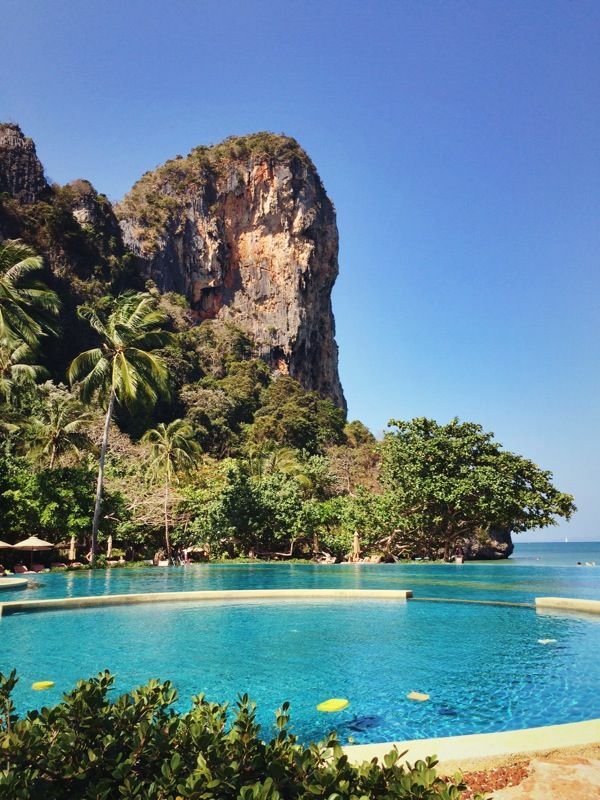 Krabi is one of the most beautiful areas in southern Thailand and the Rayavadee is certainly the nicest hotel there. 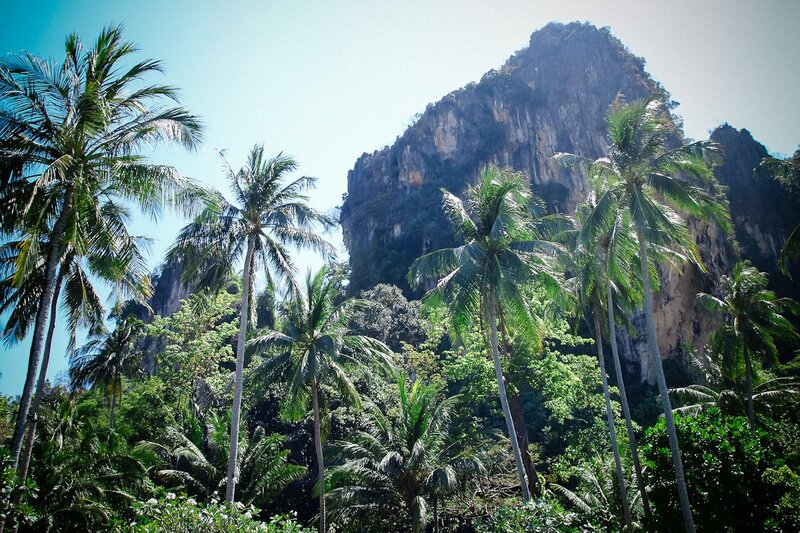 There are lush tropical vegetation and colorful flowers everywhere with impressive limestone cliffs and many beautiful beaches and small islands to explore. 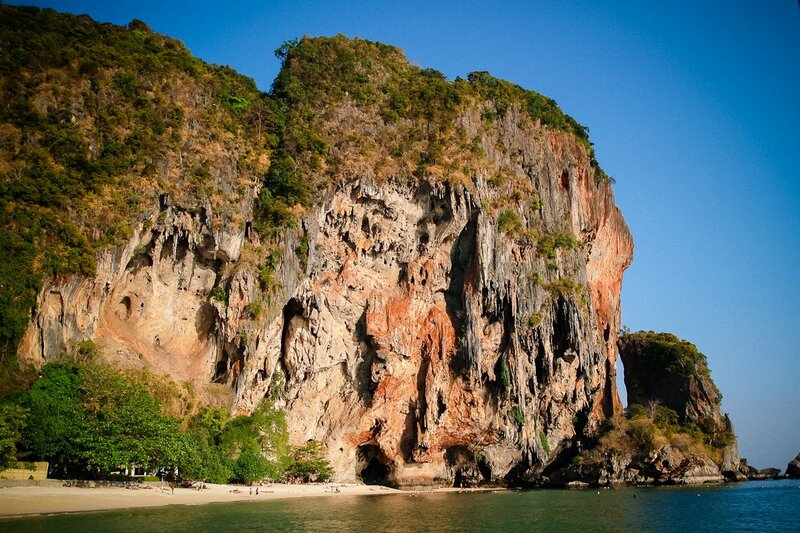 The Rayavadee is located approximately 180 km from Phuket and 25 km from Krabi Airport. 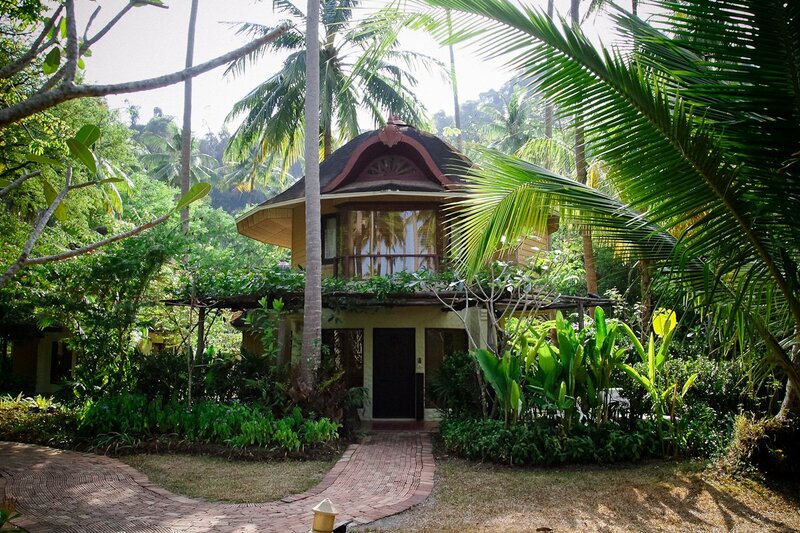 It is set in a 0.5-hectare nature reserve, the Krabi Marine National Park and is surrounded by lush jungle gardens and the turquoise Andaman Sea. 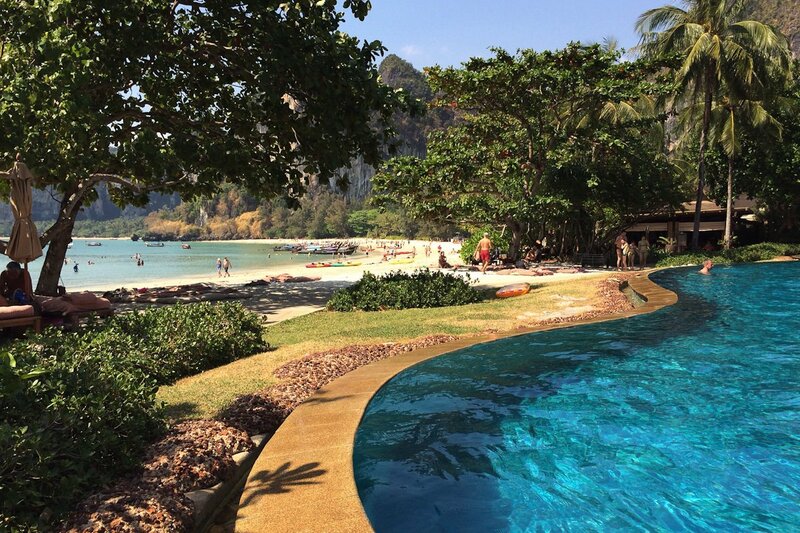 This luxury beach and spa resort is part of the “Leading Hotels of the World” and can only be reached by water. 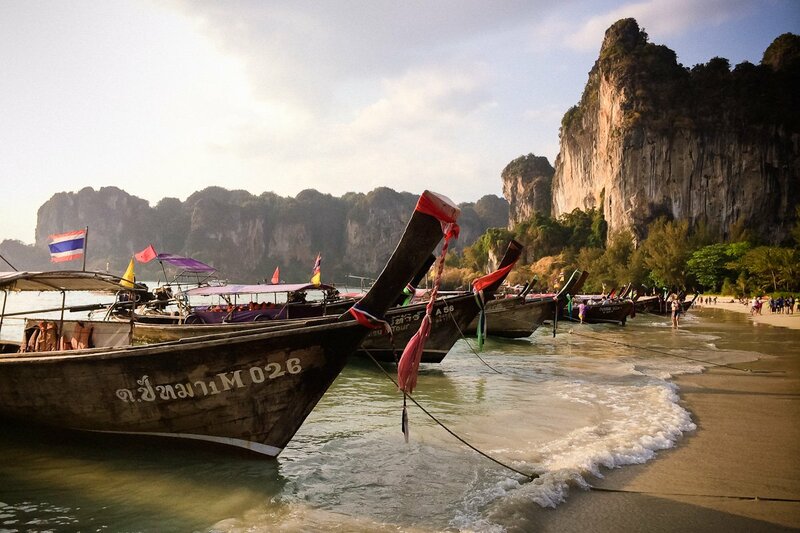 You will be picked up by the hotel’s shuttle service, a high-speed yacht with the finest leather, at the Krabi Pier and brought to Nammao Beach in Railey West. 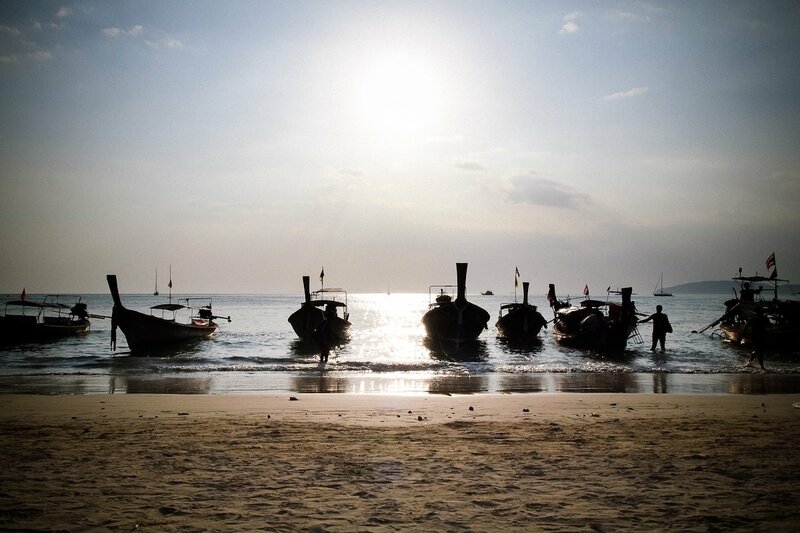 If it is low tide, you will be driven to the shore from the boat by tractor. So cool! You are welcomed at the resort with a delicious ice cocktail in the lobby. It is immediately pointed out, that you are living with wild animals and you should please refrain from feeding them. 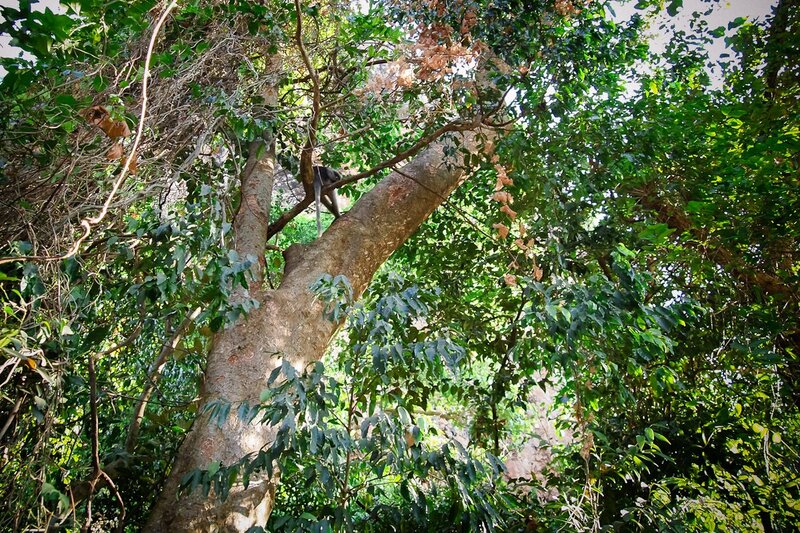 If you’re lucky, one or the other monkey might just cross your path or otherwise you can observe them in the trees. The absolute highlight is that the resort is surrounded by 3 beaches. 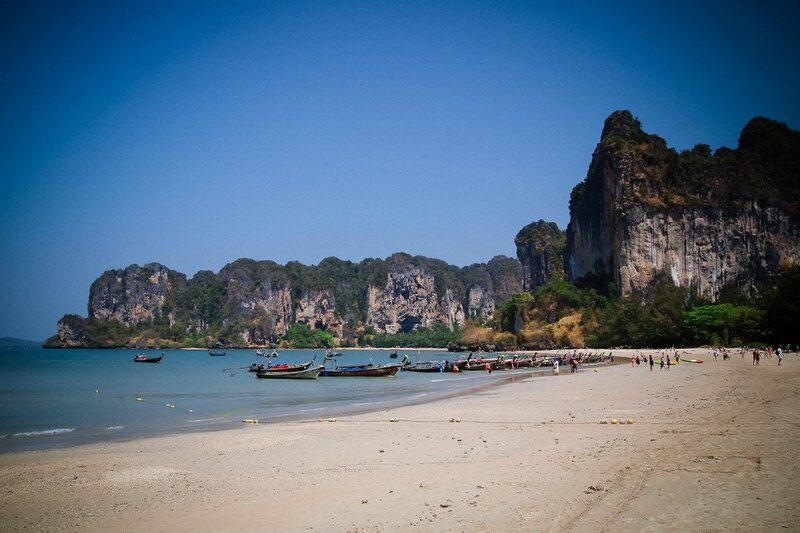 “Phra Nang Beach” in the south is known as the most beautiful beach in Krabi. 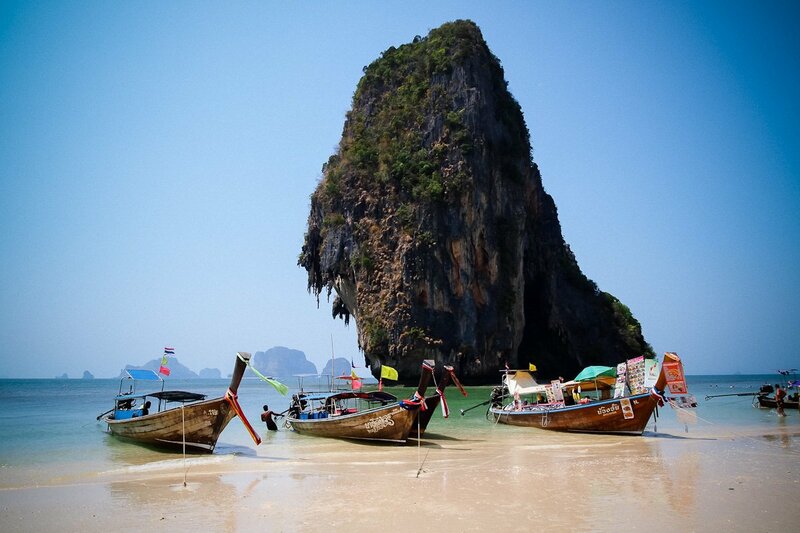 TripAdvisor again listed it among the top 10 beaches in Asia in 2013. 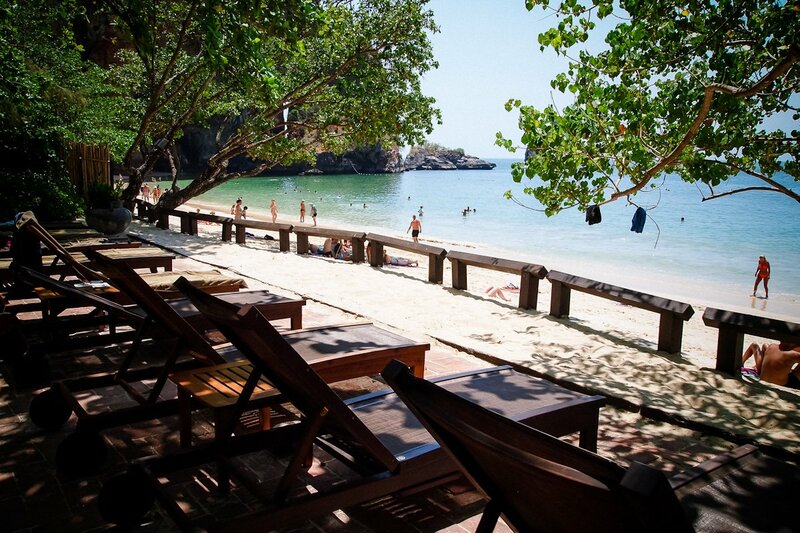 Railey Beach is wonderful for swimming, the scenery is breathtaking and therefore, it is also very popular with tourists. 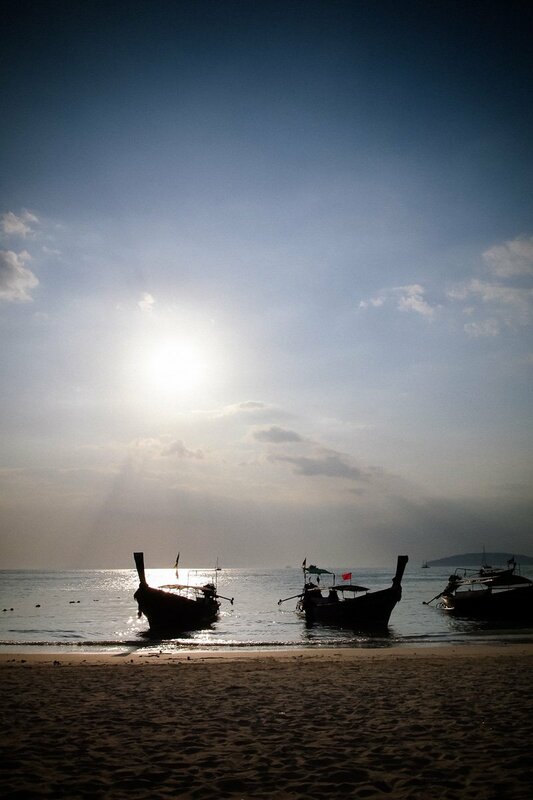 Last but not least, there is Nammao Beach in Railey West. 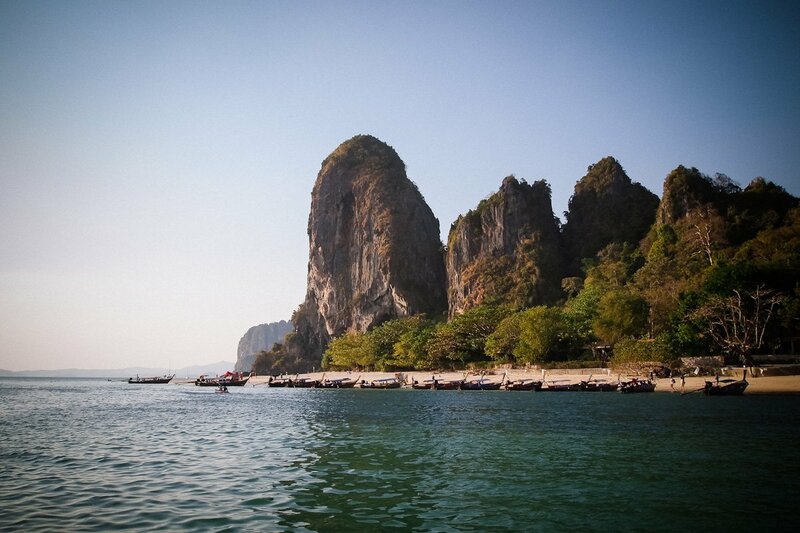 Although it is not suitable for swimming, it is the climbing mecca for rock climbers from around the world. 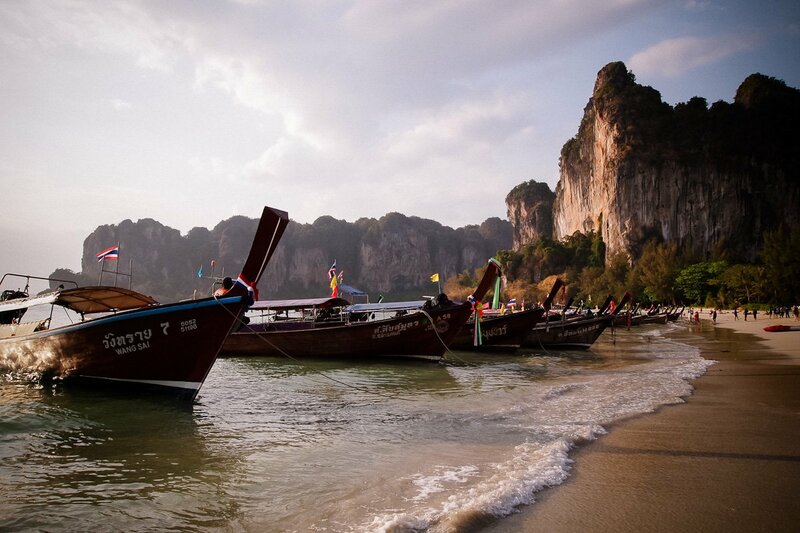 So depending on when it is high or low tide, you are spoilt for choice. 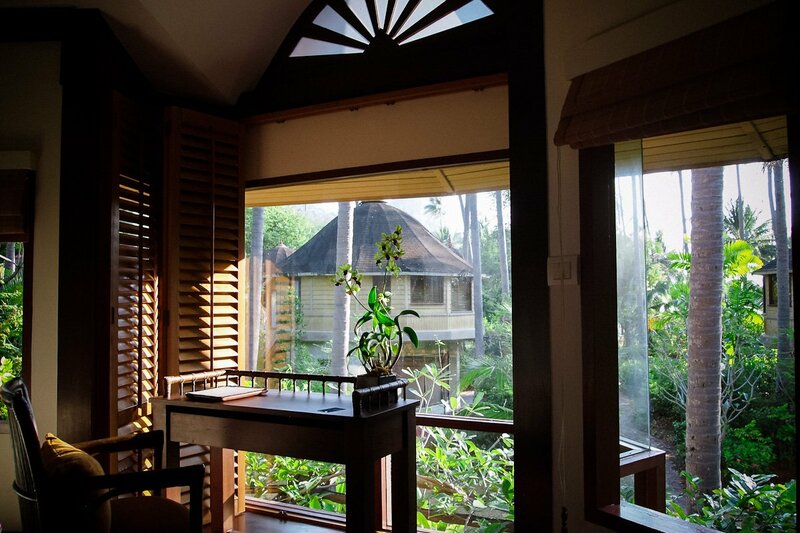 You can stay in one of 98 luxury pavilions spread out in the vast tropical gardens between coconut trees and fish ponds. 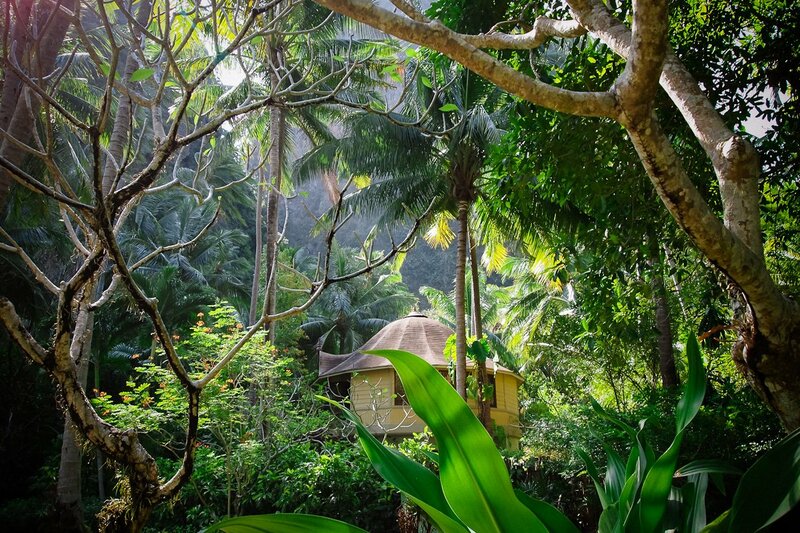 They are round, built from natural wood with thatched roofs and fit perfectly into the natural surroundings. 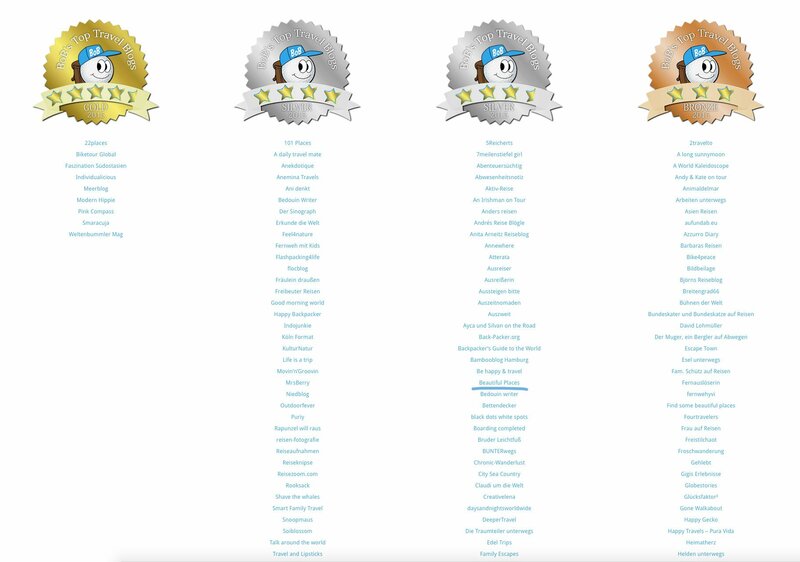 You can tell that much emphasis has been placed on sustainability and that no overexploitation took place. All pavilions have 2 floors with a living room on the lower floor and a bedroom with a large bathroom on the upper floor. The Spa Pavilions have a private garden and an outdoor jacuzzzi and the Hydro Pool Pavilion a private garden and a hydro pool. 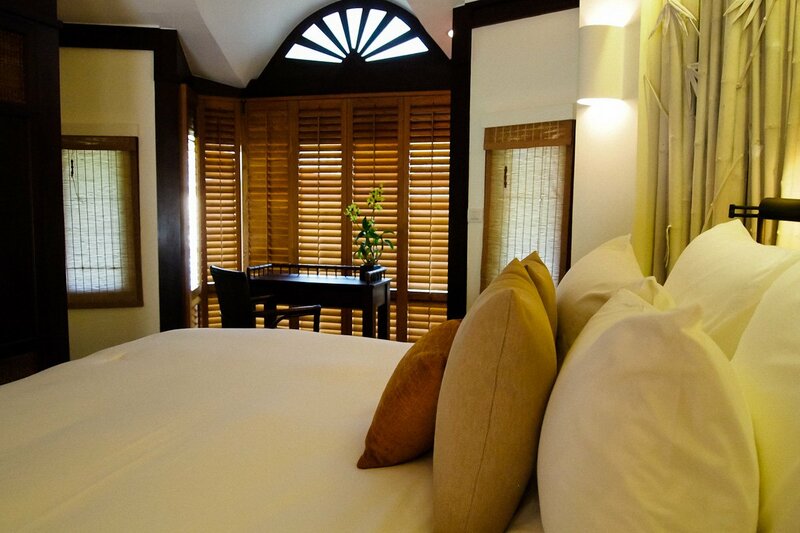 There are also 4 huge beach villas and the Family Pavilions which all have an additional bedroom. 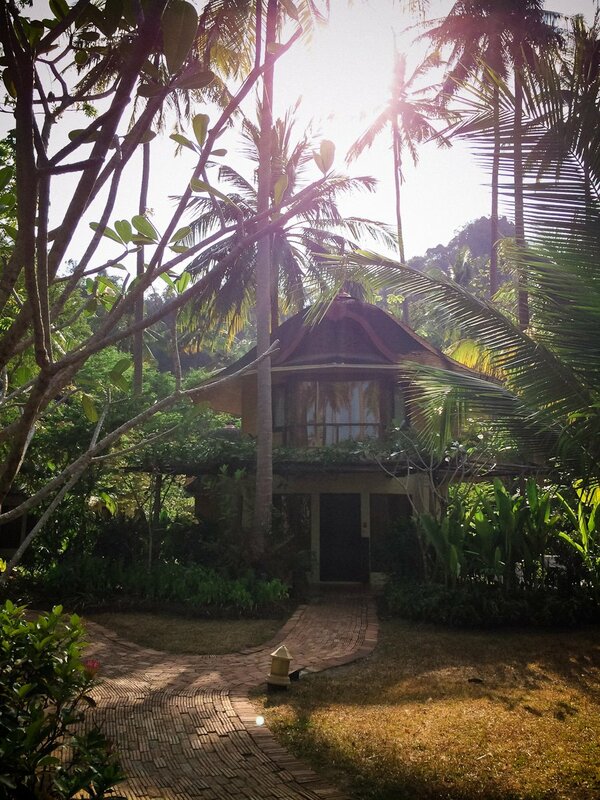 We stayed in a chic 70 square metre Deluxe Pavilion with an outdoor terrace. 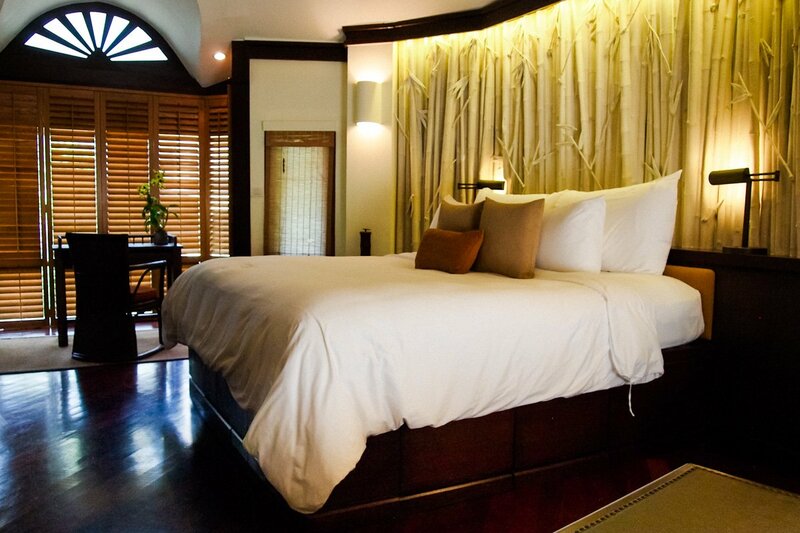 It is so spacious that 3 people could easily stay here. 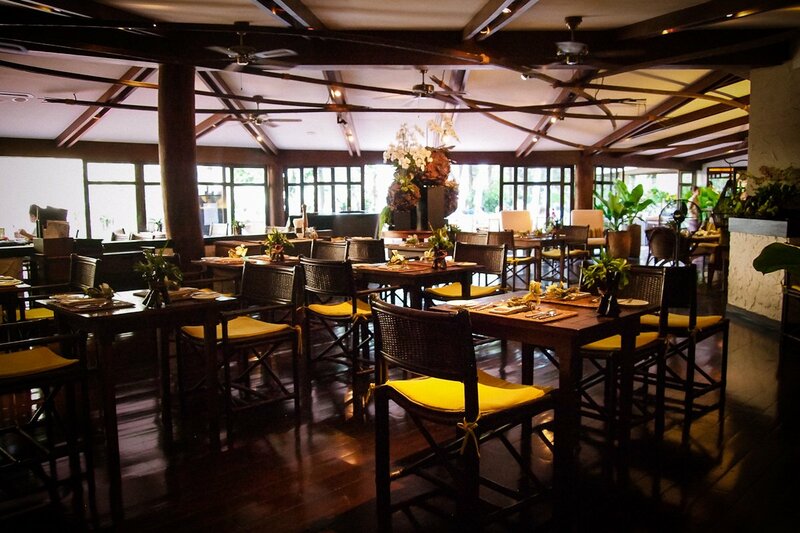 You immediately feel right at home in the pavilion with its stylish tropical and also very artistic decor with lots of bamboo, polished wood, richly coloured fabrics and handcrafted details. 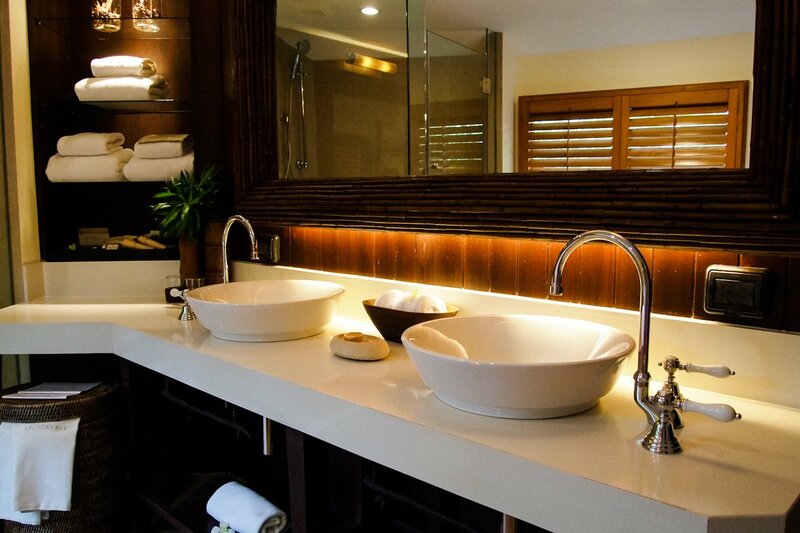 The bathroom with freestanding tub is well designed and offers a selection of care products, including mosquito repellent. In the morning you can watch the squirrels from your bed. 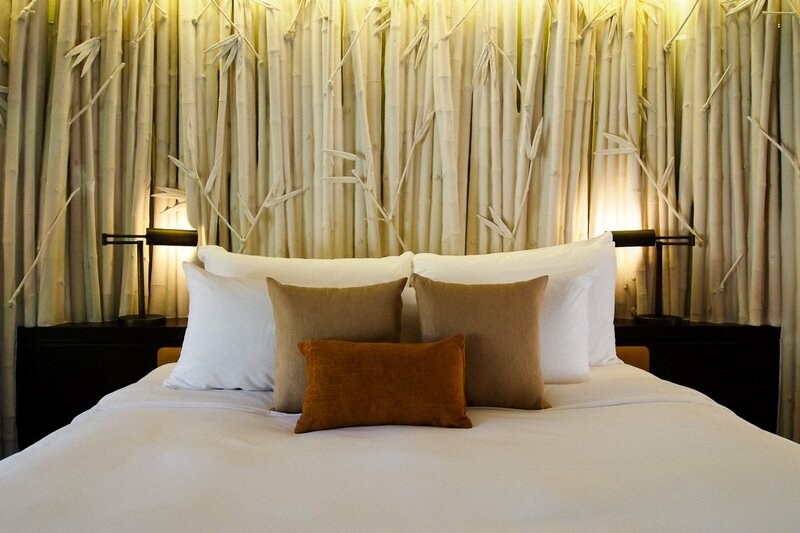 Tip: The 24-hour room service is highly recommended. 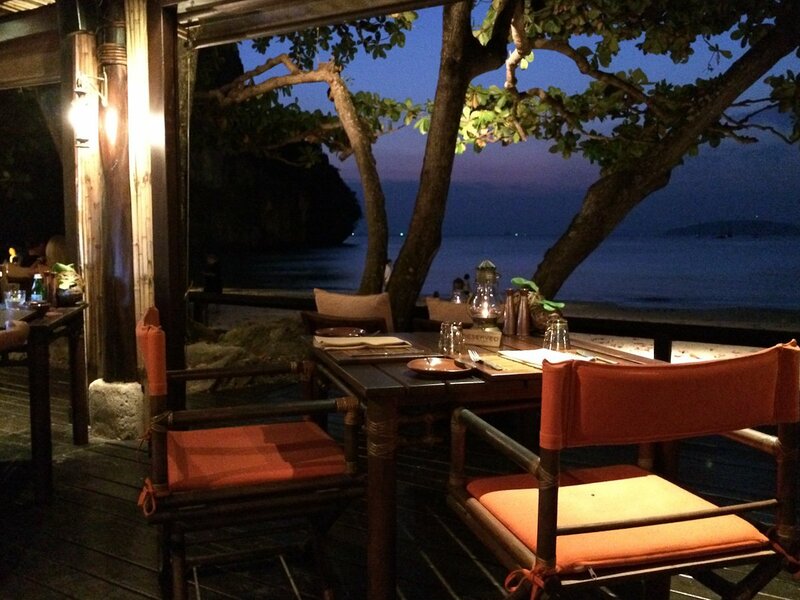 In the evening, it is so romantic to have dinner in front of your pavilion in the middle of the jungle. 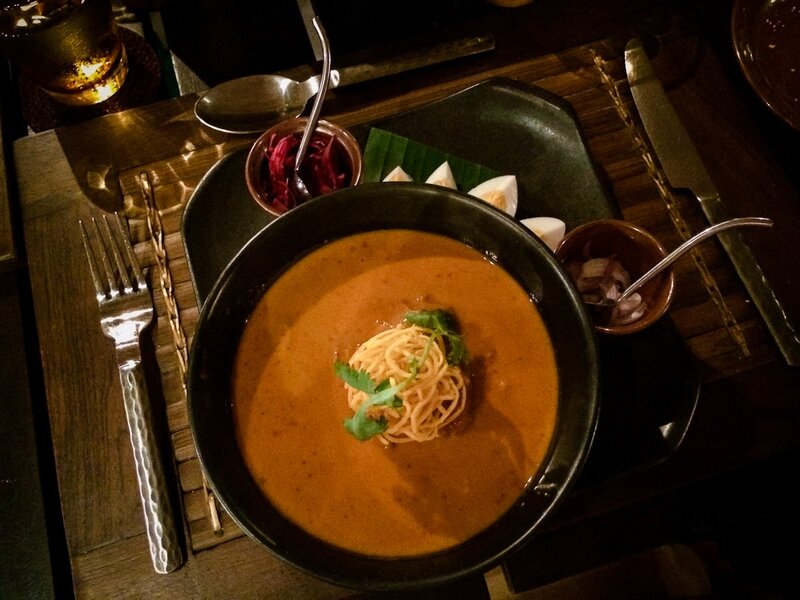 The food is great and affordable. 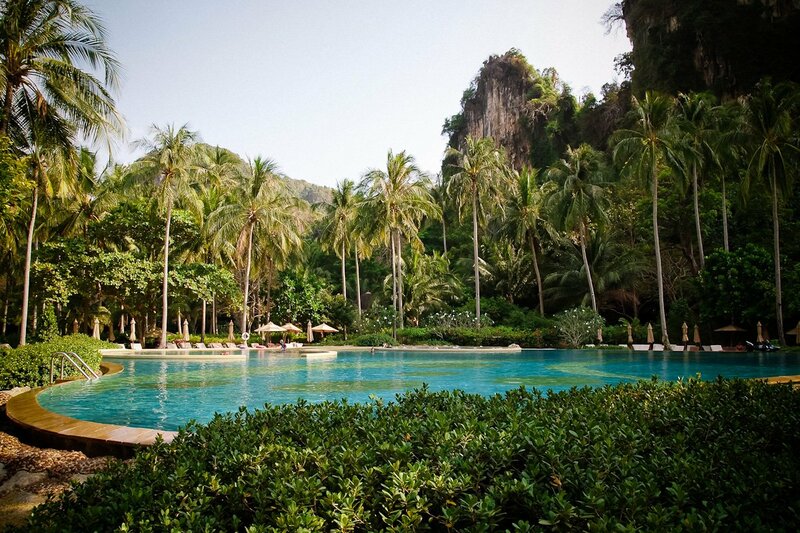 The gigantic pool is set in the most wonderful location between the century-old rock formations and the beach. From the beach you can jump into the pool and from the pool into the ocean. Simply awesome! The view is incredibly beautiful. 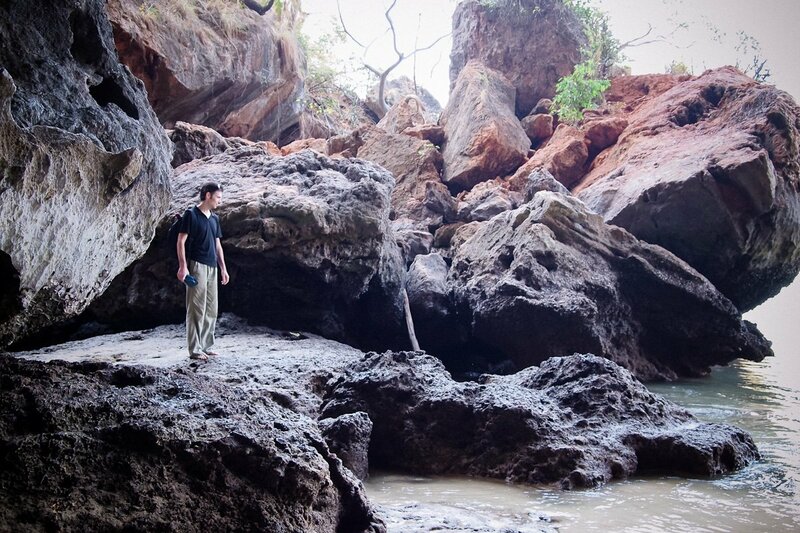 It feels as if you are in the movie Avatar. To us, it was the most beautiful pool ever! 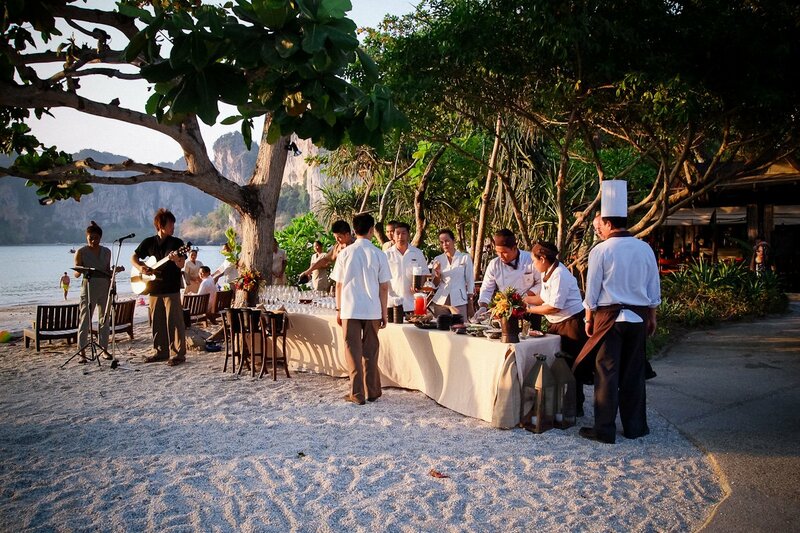 The resort hosts intimate get-togethers with cocktails, canapés and live music, so that the hotel guests can get to know each other and can ask the staff questions. The “Raitalay Terrace”, one of 4 restaurants, is located directly on the beach, has fantastic romantic views and specializes in Mediterranean and international cuisine. Conveniently, they will also serve you snacks at the pool. 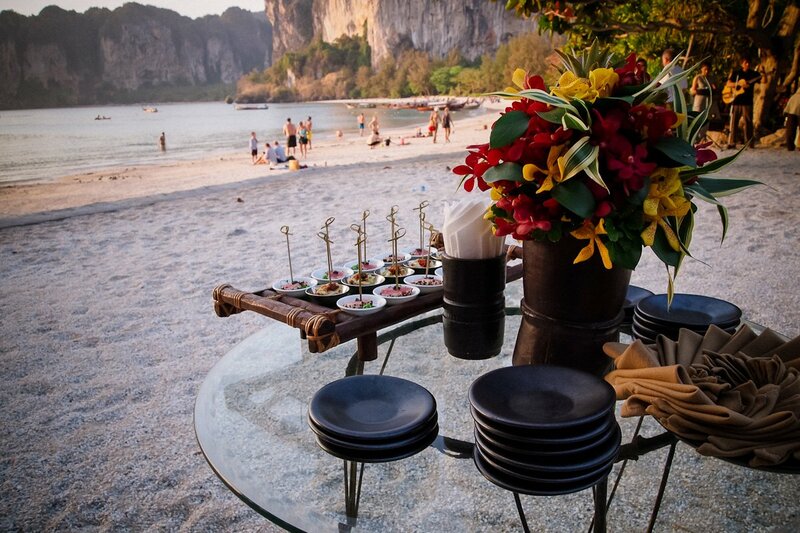 Breakfast is served in “Raya Dining” at the foot of the huge cliffs on Nammao Beach. 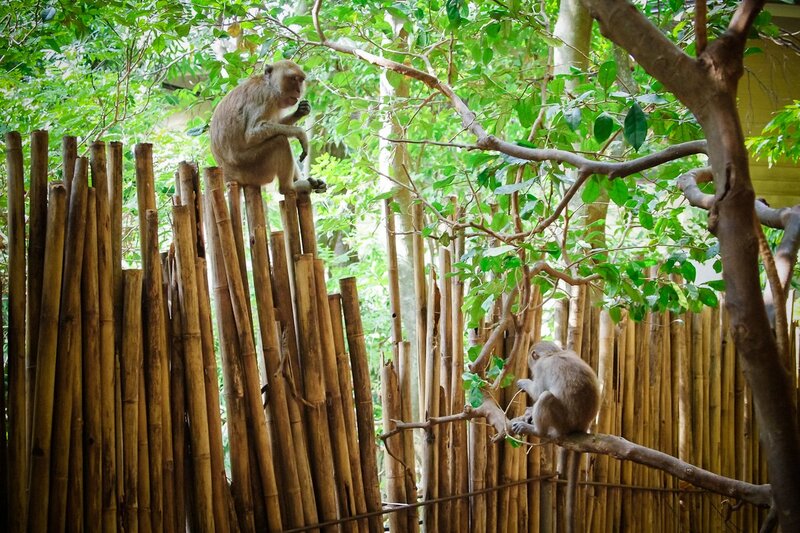 In the morning, you will also find monkeys here playing on the roofs. 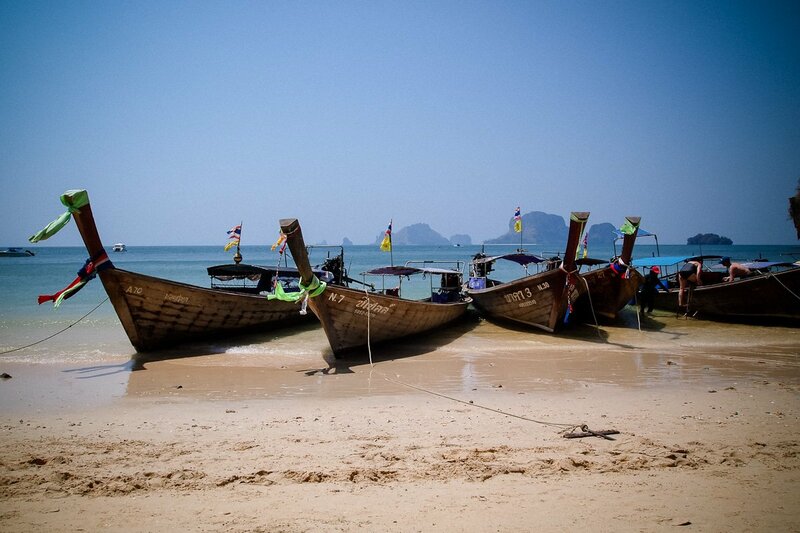 Although Railey Beach is open to the public and during the day many tourists are brought here with long tail boats, it is not as crowded as one might fear. It is more crowded during high season on Usedom. This did not bother us at all, as you are almost alone in the evening again. 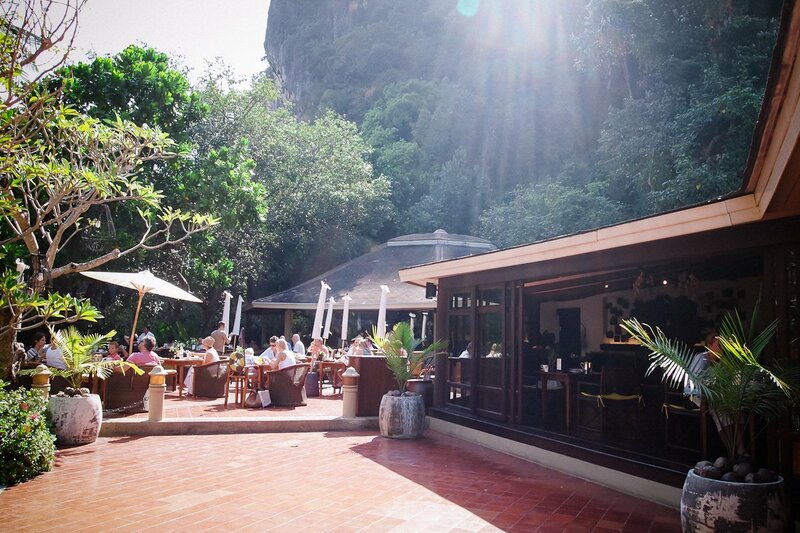 The infamous restaurant “The Grotto” is located on Phra Nang beach. 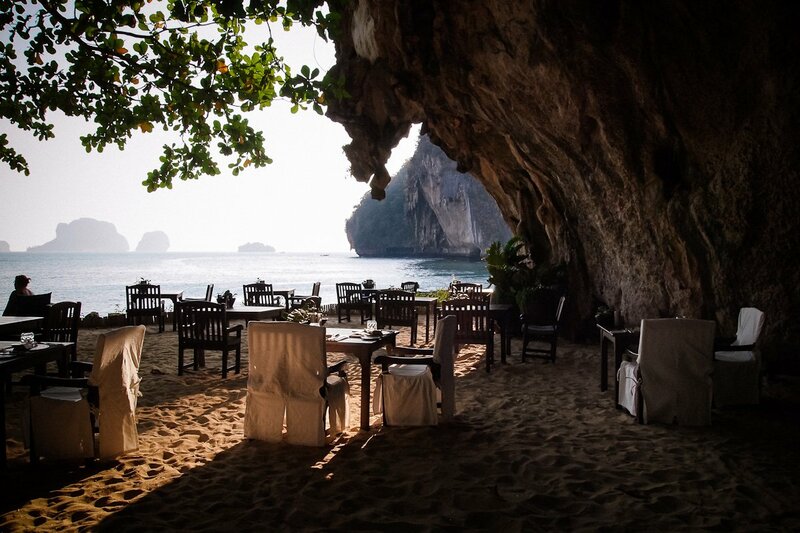 It is one of the most famous restaurants in Thailand and situated in a grotto-like cave. The resort’s Thai restaurant “Krua Phranang” is also situated here. 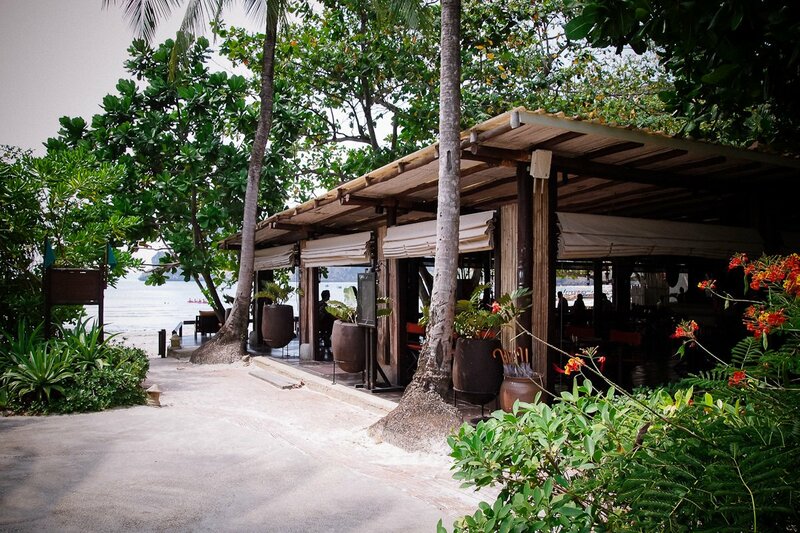 Both restaurants are located directly on the beach and have wonderful views of the ocean, the cliffs and the islands. Here you can enjoy the sunset. 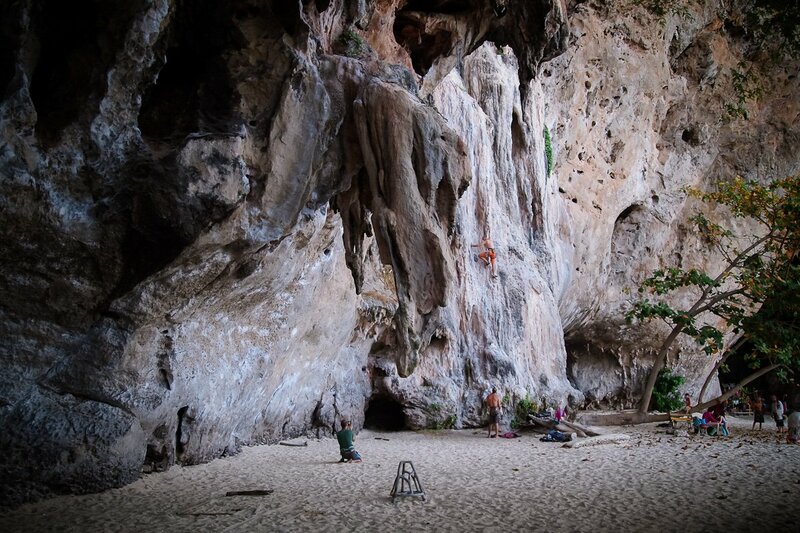 The “Cave of the Sea Princess” is a pilgrimage site for fishermen and perfect for rock climbers. 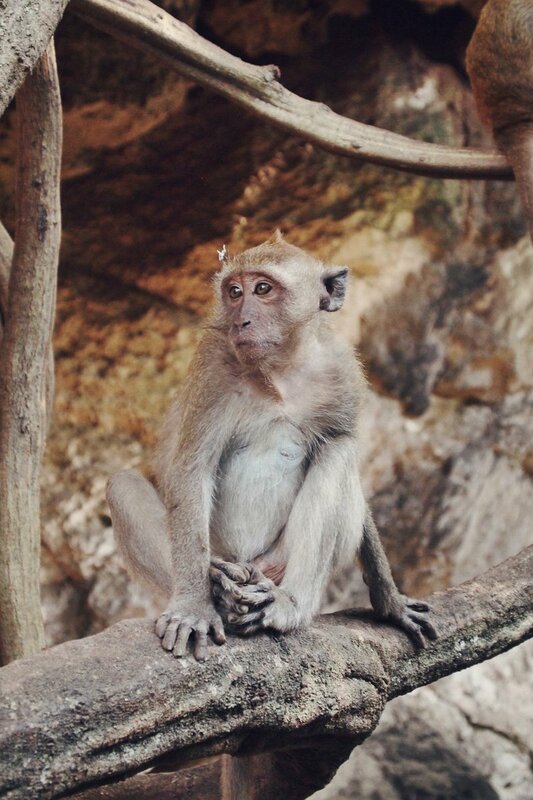 In the morning, you see these cute monkeys as you walk along the pathway leading from Nammao Beach to Phra Nang Beach. 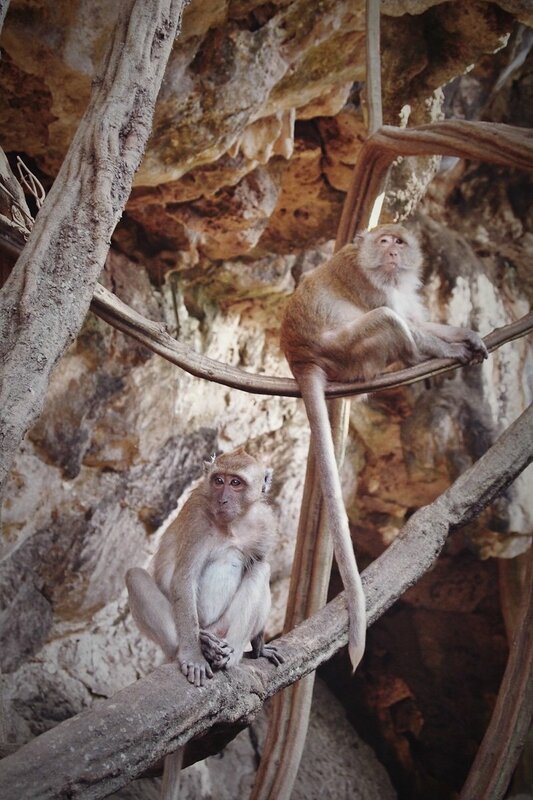 They live in the rocks and opportunistically, hope to grab something to eat from the tourists. Thus, they sit in the lianas, almost right in your face. Unfortunately, we did not visit the spa, but it should be great. 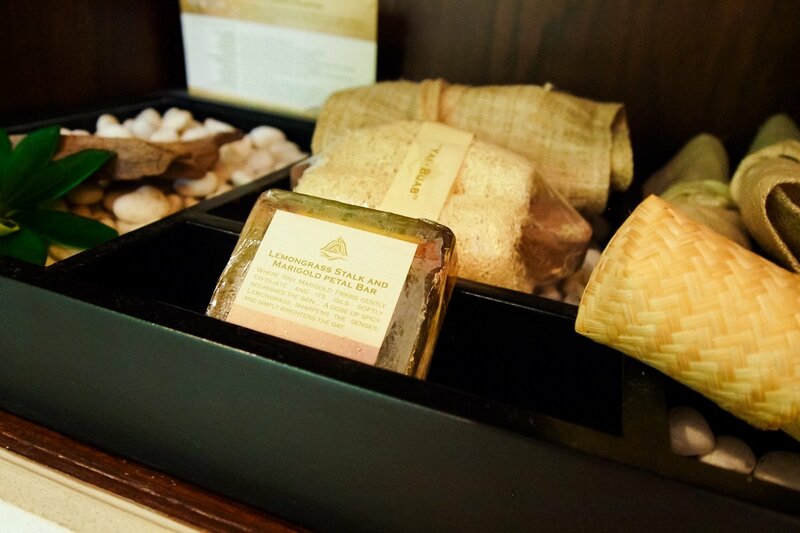 In a serene atmosphere, you can choose from aromatherapy, body treatments, facials, hot stone treatments, massages, reflexology, peelings, wraps and of course, Thai massages. 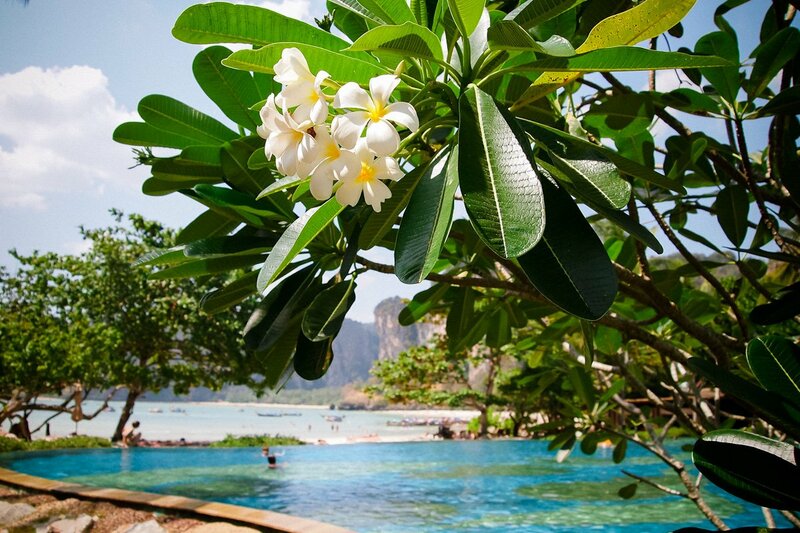 This resort is the perfect destination for honeymooners with its stunning natural beauty. 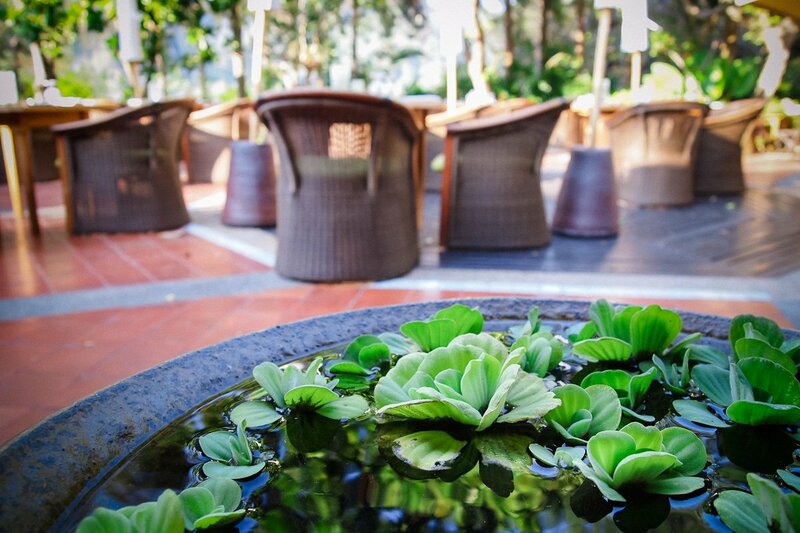 The tropical serenity, the beautiful surroundings, attentive service and the extensive gardens with plenty of privacy are just awesome and incredibly relaxing. For your honeymoon you should also indulge in booking one of the Spa Pavilions with a private garden and an outdoor jacuzzi or a Hydro Pool Pavilion with a private garden and a hydro pool. This way, your complete privacy is guaranteed. 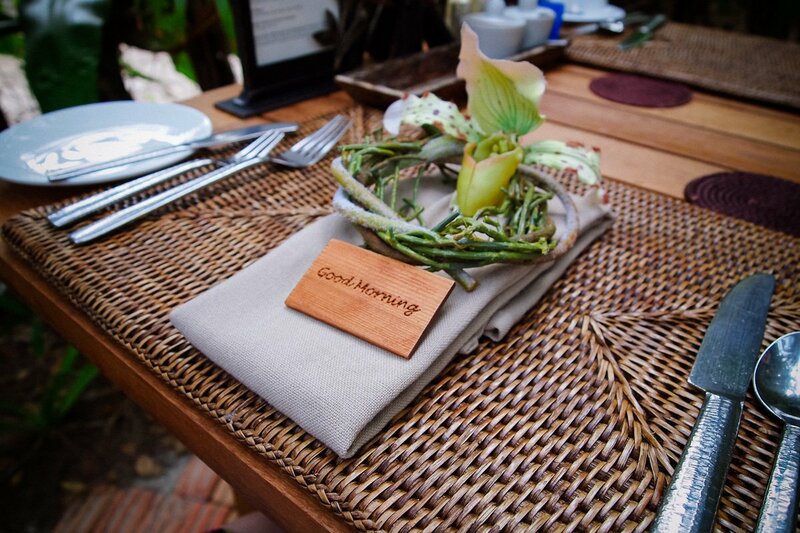 The Rayavadee Resort also hosts beautiful weddings. 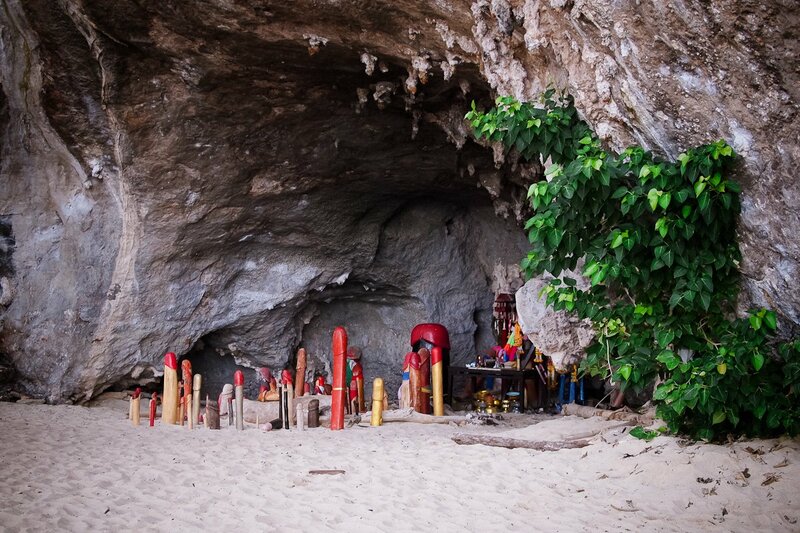 Unfortunately, for us, the beaches are simply too crowded for a wedding ceremony. 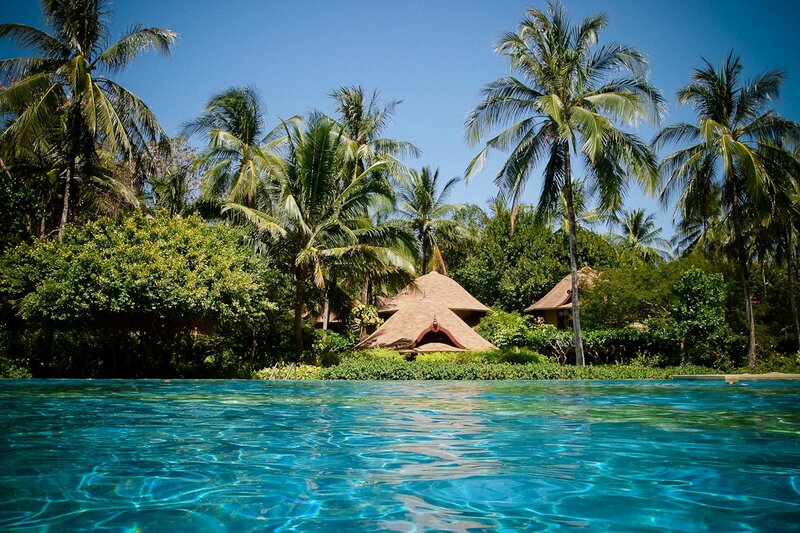 In our opinion, the Pimalai Resort & Spa on Koh Lanta is definitely a better choice when it comes to that. In the evenings, it is very quiet here. So, it is definitely not the place to be, if you are looking for a party. Except for having dinner and walking on the beach, there is not much to do here. 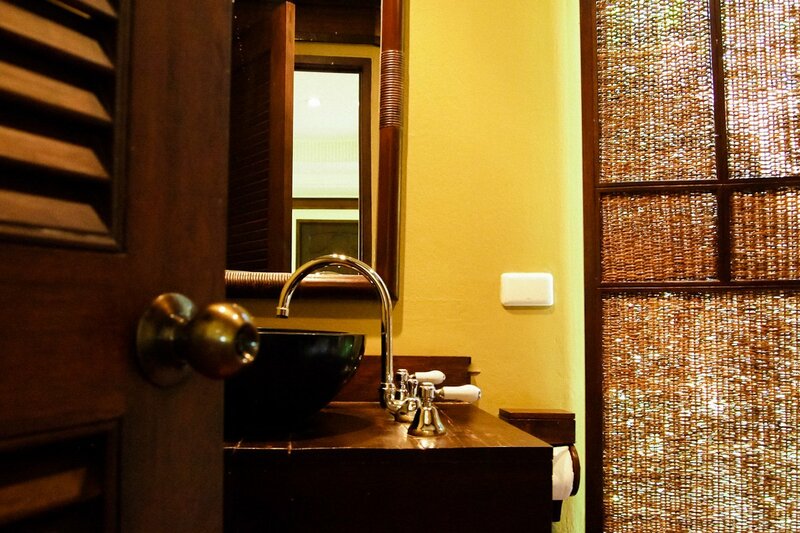 Rayavadee is more a resort where you can completely relax and get away from it all. 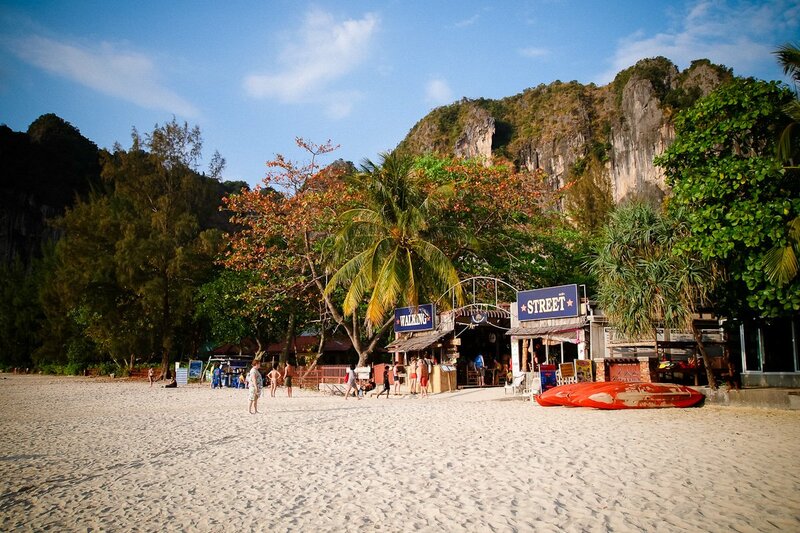 At Phra Nang Beach, you can enjoy a massage for only 5 EUR amongst the trees at the end of the beach. 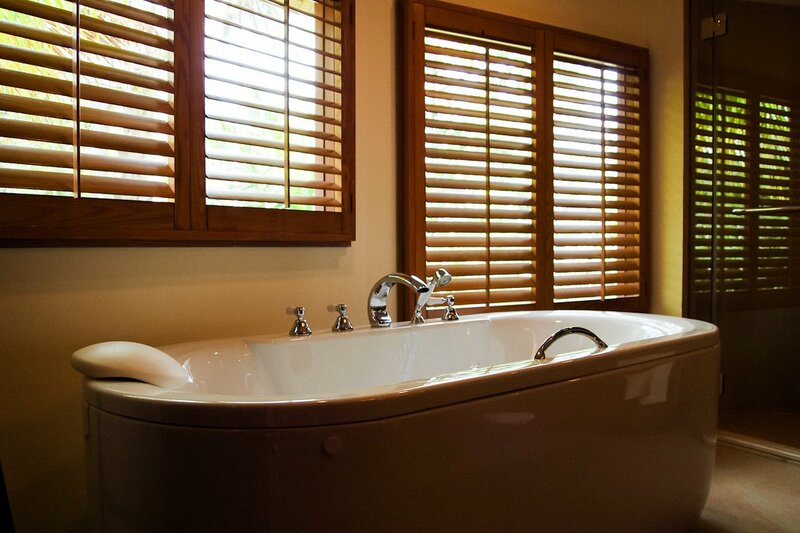 We can recommend the Sand & Sea Spa at Railey Beach. 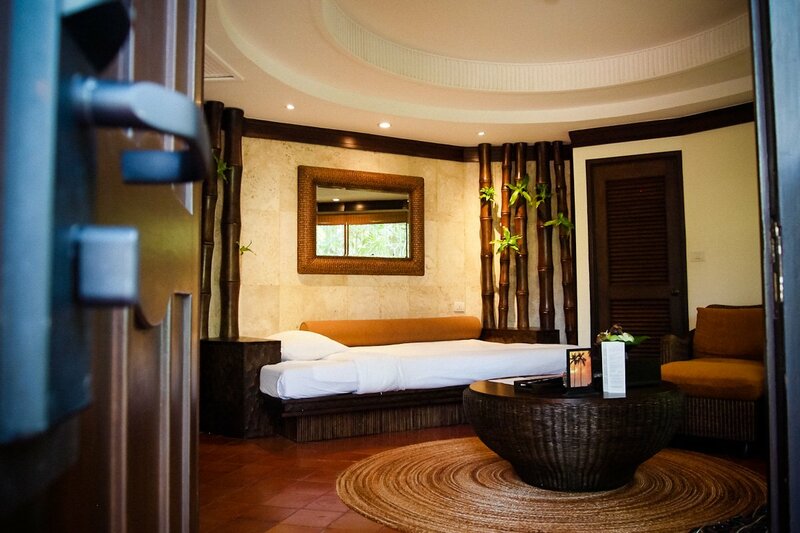 Very good Thai massage, beautiful open-air location and good prices. On the walkway on Nammao Beach you can climb to the viewpoint secured by ropes. The ascent takes about half an hour. Special Honeymoon Offer: Welcome cocktail, fresh fruit in your pavilion on a daily basis, a bottle of champagne and flowers on arrival, daily afternoon tea in the Raya Lounge, a 75-minute couple’s massage at the Rayavadee Spa, all included, when staying a minimum of 4 nights. 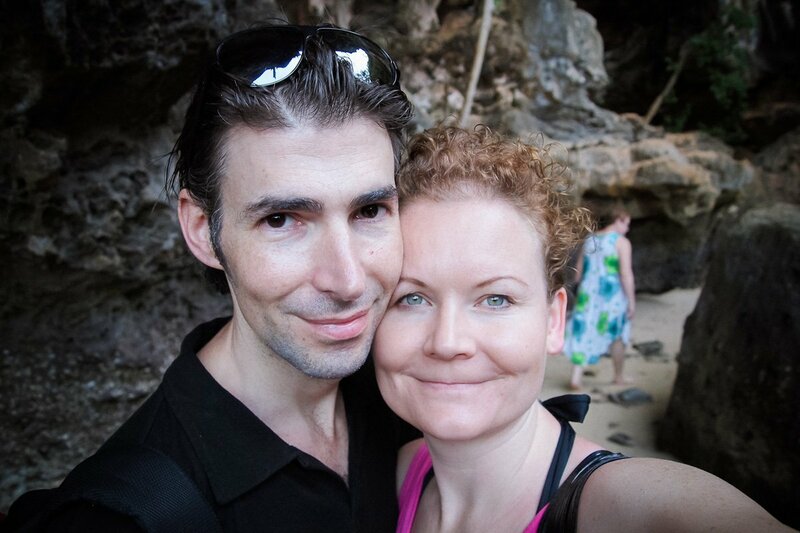 On our trip to Thailand we also visited the Anantara Riverside Resort & Spa in Bangkok and the Pimalai Resort & Spa in Koh Lanta. 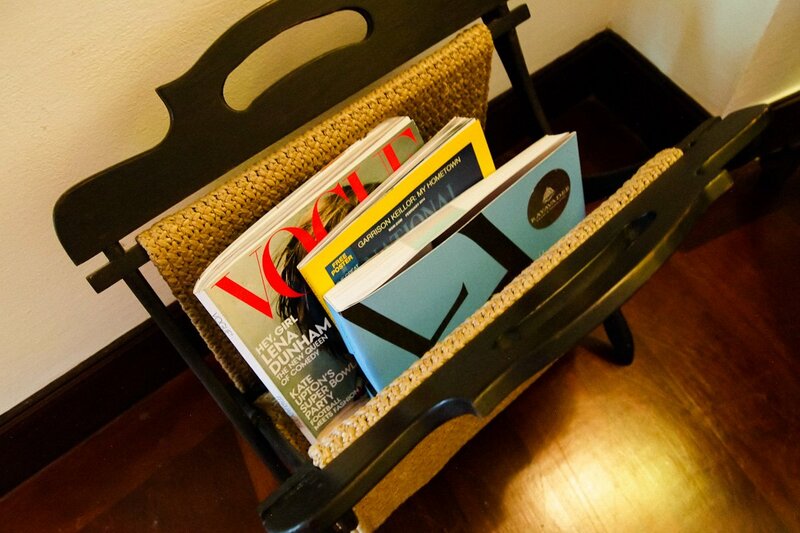 We are happy to recommend each of the three hotels we visited as each hotel is unique in its own way.